around in bloggy-land, but what could one more possibly hurt? 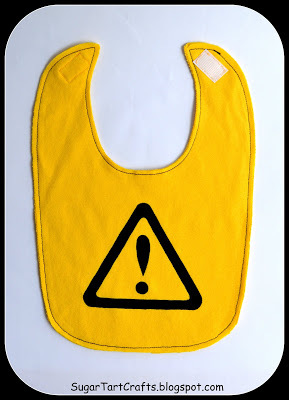 Pick your favorite style bib and trace it onto a piece of freezer paper. 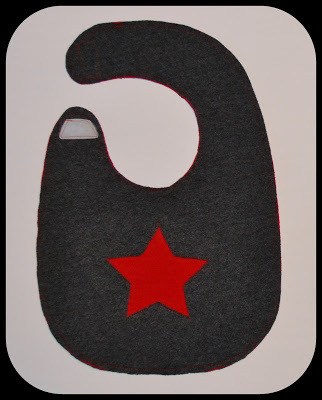 If you don’t have a bib handy, just goggle bib pattern. They are everywhere. 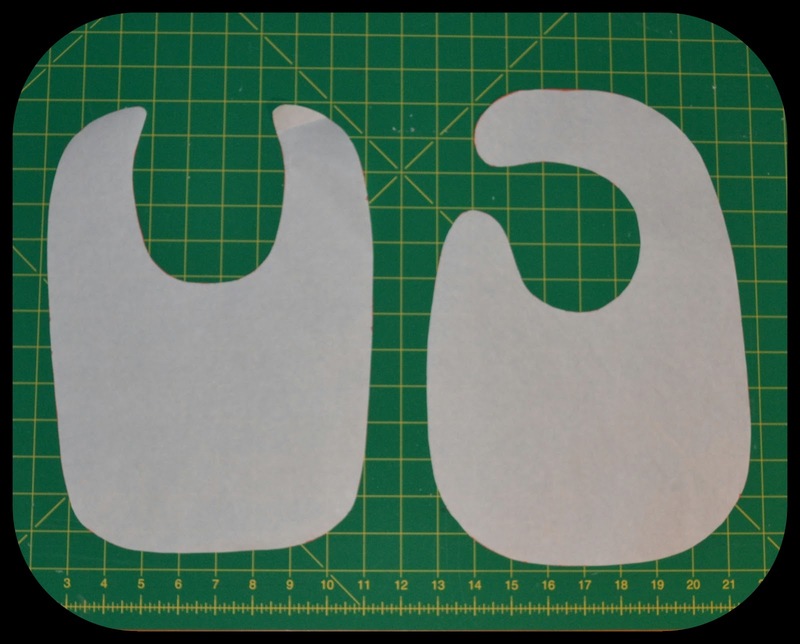 Cut out your shape and iron the paper (wax side down!) onto your t-shirt. Make sure you either iron or smooth out the tee really well before attaching the paper. You can easily get 8 layers from 1 Men’s XL T-shirt. Cut around your pattern piece. If you are careful you can cut out 2 (shirt front and back) at the same time. 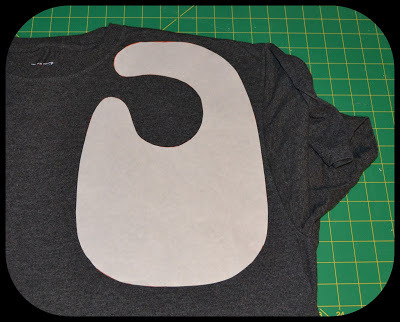 Then just peel off the freezer paper and iron it onto a different part of the shirt until you have cut out as many layers as you’d like. I re-ironed the same pattern more than 6 times and it was still sticking. It’s like magic! 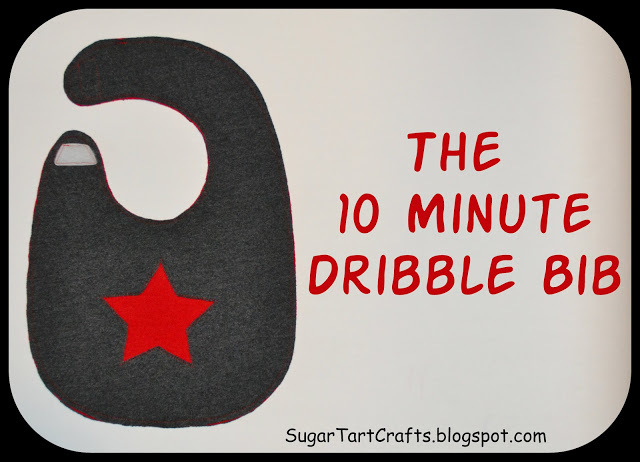 Do you have a little baby who is dribbling? Or a toddler who is teething and would be better off living in the bathtub? 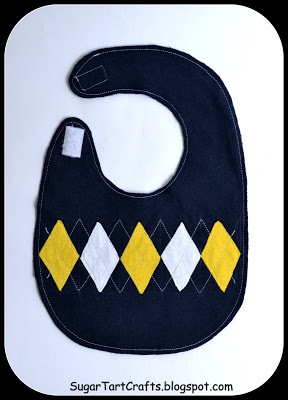 I made bibs with 2, 3, and 4 layers. It just depends on your munchkin’s needs. and then stack them up as neatly as you can. 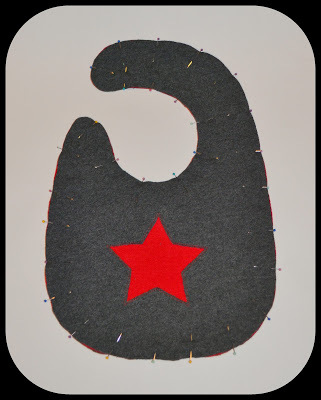 Pin the layers together and stitch around the edge at 1/4 inch. If some spots didn’t match up exactly just trim them off. They won’t fray. 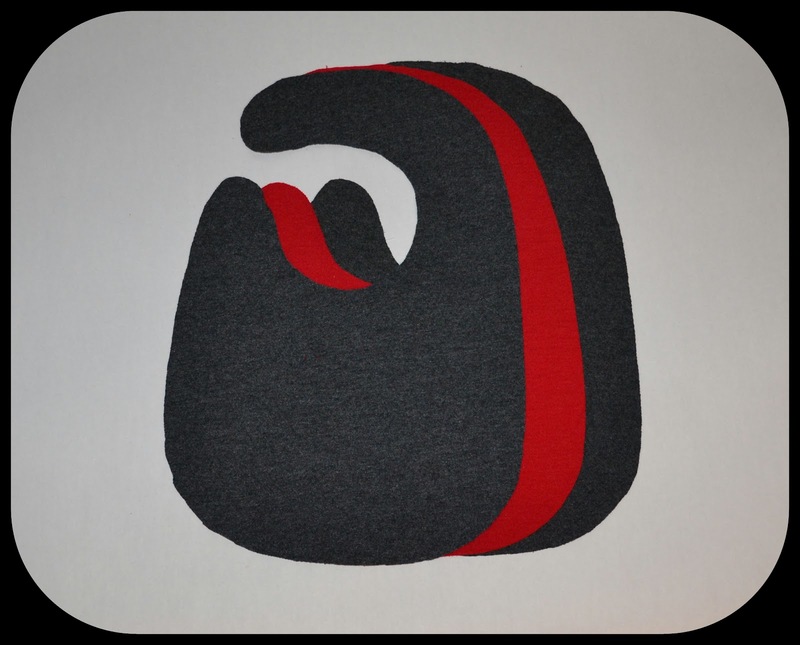 Sew on your pieces of velcro. The hardest part for me was deciding how to decorate each one. 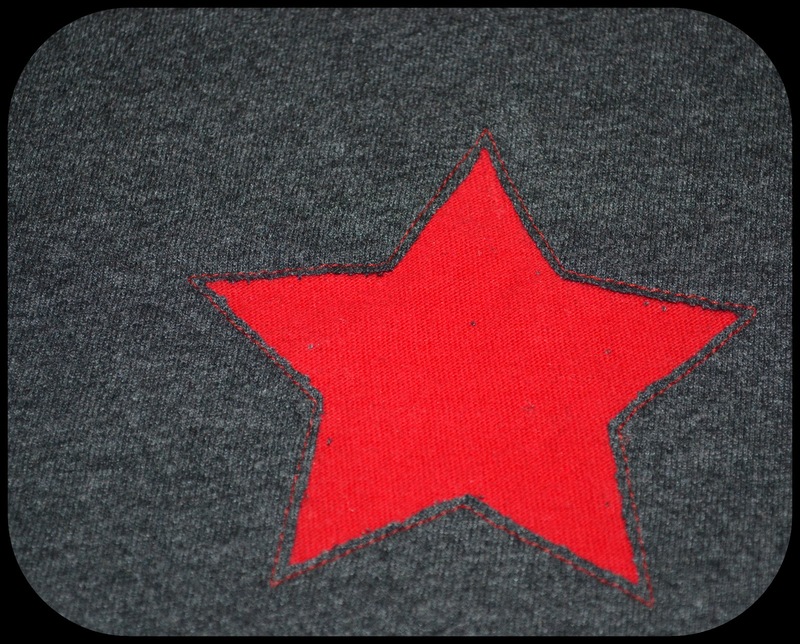 The star was just a reverse applique using the middle layer as backing. But I also made. . .
and a few freezer paper stenciled warnings. Plus I still have A LOT of knit leftover from all the different t-shirts. Good thing I’ve got plenty more baby projects that can use up those scraps! Bleached robot has to be my fave! Love this! 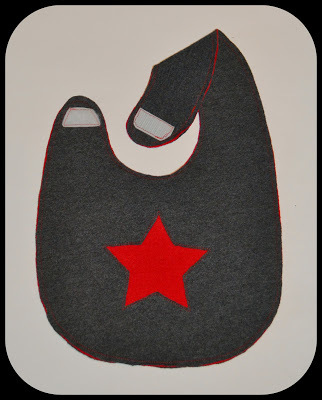 So fast and easy with no turning inside out! The star is my favorite. Love this! 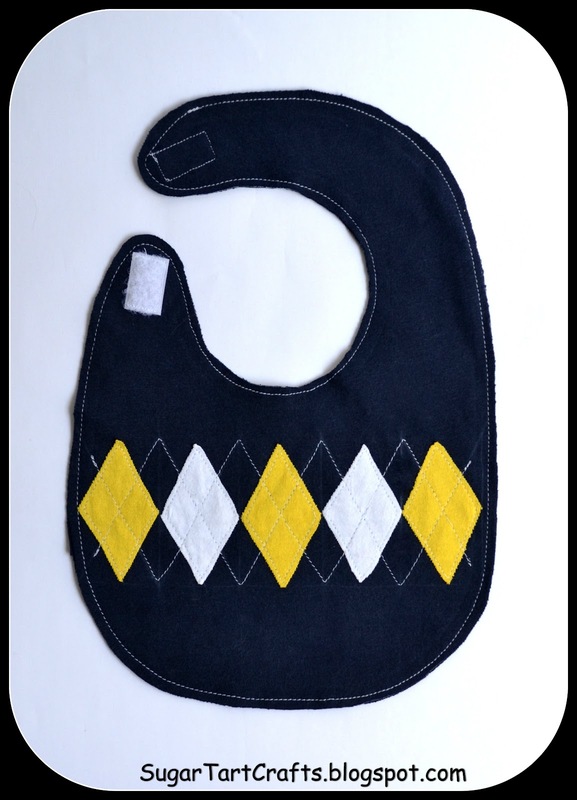 One or two of these bibs will be today's project for me. How did you do that fabulous bleached robot? 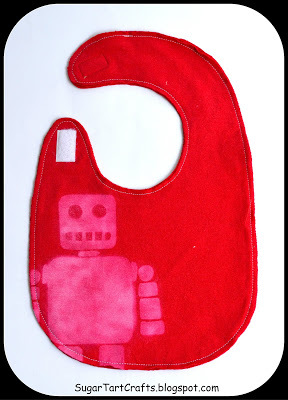 The robot was done just like a freezer paper stencil, but with a pleach pen instead of paint. Just make sure the paper is ironed down REALLY well because the bleach still bleeds. This is a great way to use up old t'shirts. My daughter drooled a lot, and when she has a cold, she still dribbles. Thanks for showing us! The Warning Bib is hilarious! 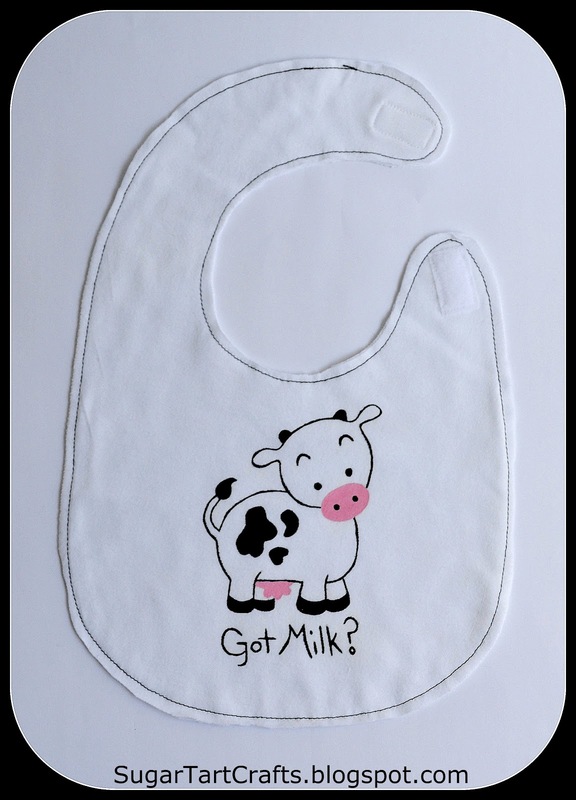 I love your Argyle bib but they're all really cute. 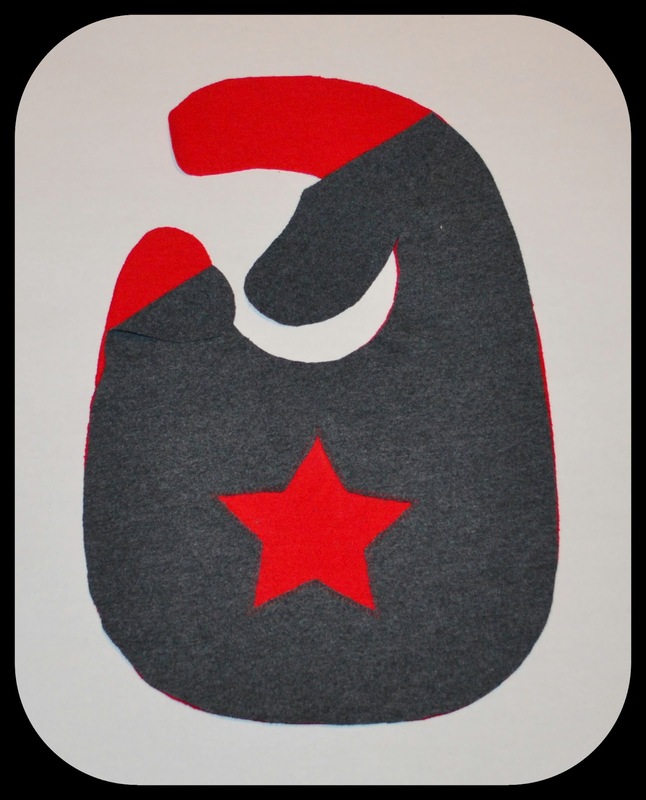 Great idea – have been looking for a simple tutorial – thanks! What a very brilliant idea! 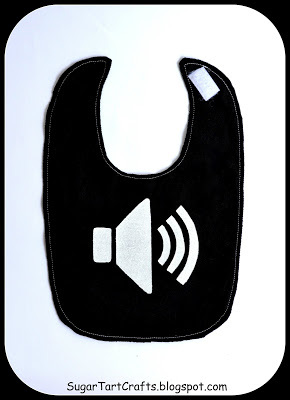 The bibs are very eye-catching. 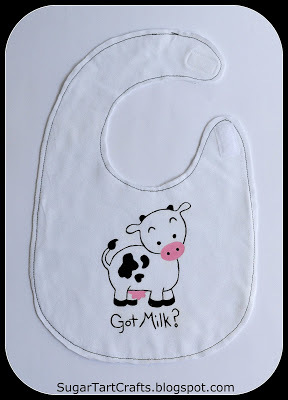 I like that bib with a hand painted cow design, it is so cute as well as the bleached robot. Thank you for this one! Thanks for visiting Rob. I'm glad you like them!